Hello! Let's start off with some guest comics! This absolutely flippin' adorable strip is by Toasty, it very much made me smile. Go check out their comic War in the Shade! 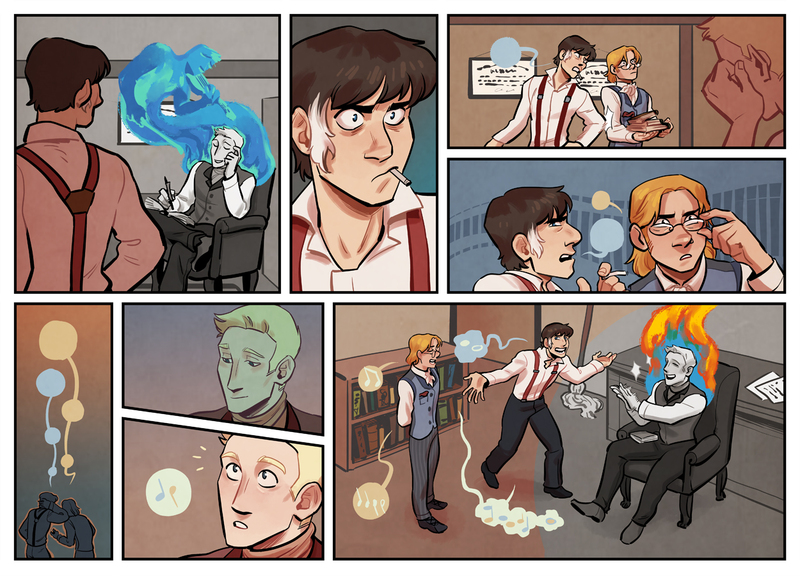 Widdershins updates will resume on September 4th, til then please check out the Kickstarter for Volume 7!